John Franklyn Norris (1877-1952) was the most controversial preacher of the 20th century. As a child he was shot three times by horse thieves while they were attacking his father. The doctors said that he was going to die, but his mother knew that God would use him as a preacher one day. He crusaded against the liquor traffic and horse racing, leading to passage of new laws in Texas. In 1909 he accepted the pastorate of the First Baptist Church of Fort Worth, Texas, and remained there until his death. Twice his church was burned to the ground, but he rebuilt it. An unruly mob gathered on a Fort Worth street and an agitator offered $1,000 to the person who would shoot Dr. J. Frank Norris. Upon hearing about the mob, Dr. Norris went to the street corner and, in view of the crowd, bought a newspaper and turned to read it leaving his back as a target. On another occasion a crowd gathered in the town hall and threatened to hang Dr. Norris. He strolled into the meeting and sat in the first row. He was a man that feared no one but God. He was a scholar, a pastor, a publisher, and a preacher. He was a man of God who walked with presidents and prime ministers. He befriended businessmen and preached at their company meetings. He addressed state legislatures, confronted hostile critics, and preached to crowds of thousands in his church. 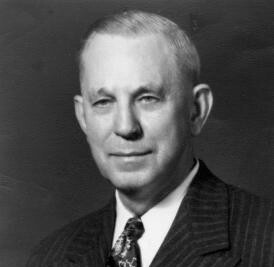 He won and lost many co-workers but left behind a great church, a Bible college, and a global missionary organization. Who will take his place?